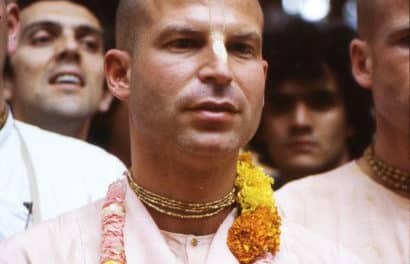 Narahari Dasa – Australia: I ceased reading ‘ISKCON related’ sites after the old CHAKRA closed as I was tired of reading what I considered as petty grievances and party line philosophy, at least until I was sent a link a few years ago for the Sampradaya Sun website to an article by a Jagadeesha prabhu. His summation of the problems in ISKCON proved a real eye opener for me and many things became clear as I continued to keep abreast of the issues he and other devotees like him were addressing. I felt compelled to have my say, but I was naturally apprehensive to write my views in the public forum. What made matters worse was the Samp Sun also has a huge readership and my reluctance to make a public fool of myself needed to be overcome. But then the issues that Mukunda and Achyuta Prabhu’s presented shook me out of my devotional flat line slumber and compelled me to face my inadequacies and fears, and write. 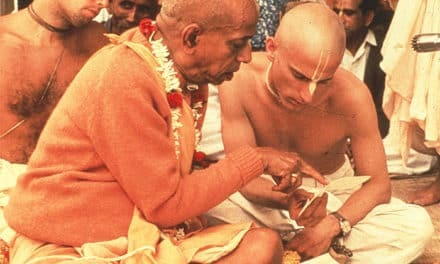 I had never before thought about the issue of any culture or group having influence within ISKCON but their articles invoked me to do some intensive research into the so-called Jewish problem within ISKCON. As I am more an audio person rather than a textual one I found that after listening to Rocana Prabhu’s audio it really sank in, and I became convinced that this issue is something that seriously needs to be addressed. However before I wrote anything I made sure that my research was as in-depth and unbiased as possible. My findings led me to see that the small evidenced the big. Tamohara Prabhu, in his reply to my last article (“Is Anyone Awake?“), was not sure whether the Jewish people would enforce the Noahide Laws and I could not help think of Palestine. If anyone is interested in seeing a well written and researched documentary by a well known Aussie journalist who has documented the Palestine issue since 1974, please check out John Pilger’s site. If you make a careful study of Palestine and see what has happened to it and its people over the last hundred years or so and particularly since the establishment of the State of Israel, you would not be so complacent and I think that you would be wary of the self-righteousness of the Jewish people and in particular the Zionist Jews in the State of Israel. This is not sensationalist; it is a very well documented historical fact. A bit of history: After the demise of the Ottoman Empire in the beginning of the 19 hundreds, the land under its control was divided up by the ‘Allies.’ The British gained control of many Middle Eastern countries and under the ‘British Mandate for Palestine’ had control of Palestine. Meanwhile the Zionist Jews who had declined an offer of land in Uganda, by the British, in order to create a State were determined to only possess Palestine. A land that they believed their God had given them from Biblical times. From as early as the late 18 hundreds, the Zionist Jews had been encouraging Jews to settle in Palestine and buy land. The Zionists had already formed in various countries in Europe the concept of the Kibbutz or communal settlements with the aim of training Jews to live in fortified settlements in Palestine. Once trained, the Jewish settlers would migrate to Palestine and buy as much land as they could and form settlements. The Zionist Jews of Britain, who had (and still have) very strong ties with the British royalty, financial influence and political power, heavily petitioned the British Government to expedite the formation of a Jewish State in Palestine. The Balfour Declaration of 2 Dec 1917 was a declaration made by the British Foreign Secretary Arthur James Balfour to Baron Walter Rothschild a leader of the British Zionist Jewish community of Great Britain and Ireland. This document displays the tremendous influence that Zionist Jews have within the British Empire. I have much pleasure in conveying to you, on behalf of His Majesty’s Government, the following declaration of sympathy with Jewish Zionist aspirations which has been submitted to, and approved by, the Cabinet: “His Majesty’s Government view with favour the establishment in Palestine of a national home for the Jewish people, and will use their best endeavours to facilitate the achievement of this object, it being clearly understood that nothing shall be done which may prejudice the civil and religious rights of existing non-Jewish communities in Palestine, or the rights and political status enjoyed by Jews in any other country”. However, the Zionists, knowing that they required ‘vacant possession’ of the land in Palestine began to use ‘forced expulsion’ and ‘compulsory transfer’ of Palestinians out of Jewish controlled land. Mere months prior to when the British pulled out of Palestine, on 15th May 1948, the Jews had used their now formidable military force to seize more land and massacre the Palestinian inhabitants. The Arab Nations could not interfere as they were still being held in check under the British Mandate and understandably feared reprisals from the ‘Allies’ which included the good old US. As soon as the British withdrew, the Jews of Palestine declared the land they occupied as the State of Israel. This led to a mass exodus of Palestinians who had no ability to fight back and the ones that stayed mounted a defensive and were joined by other Arab states. But they were no match for the military might of the newly formed State of Israel. After the 1967 war Israel confiscated more land in the West Bank and Gaza even though the UN charter forbids territorial takeover of land as a result of war. Ever since that time the State of Israel has been slowly usurping more land. Palestinian resistance has now dwindled to the throwing of rocks by angry youth and homemade incendiary devices. The rocks mind you are from the demolished remains of their suburbs and homes. The Israeli Military is in possession of Nuclear Weapons and is world ranked as far as its military superiority goes and has a very high-tech land force. It also ranks as number 4 in the world as an arms dealers so they have no shortage of highly sophisticated state of the art weapons and military craft. It also has the full backing and the liberal financial aid of America, the most powerful army on earth at present. Even though the Israelis always speak of peace and the negotiation process, the formation of Israel has not been a peaceful process and is replete with well documented aggressive military action aimed at annexing land to expand its borders and seemingly the total annihilation of Palestine. Their activities have not been sanctioned by any world authority except the US and even the UN has ruled against its hostile takeover of Palestinian land. The most disturbing thing about this situation is that no country, international authority or body does anything about it. The US, who is very quick to put trade sanctions on any country it deems fit, has never imposed it’s might on Israel nor has it strongly encouraged Israel to give back the land and recompense the Palestinian people. It appears that America’s role is more akin to a bodyguard than a father figure who encourages and nurtures the fledgling nation of Israel. Everyone is watching this happen, making comments and official statements, but no one has any power to do anything against them. Which country in this so-called modern age is acting in this manner? What is more disturbing is the self-righteousness of the Israeli people, regardless of them being religious or secular. They all firmly believe that this is a God given land and they will do whatever it takes to defend and expand its borders. So when it comes to the implementation of the Noahide Laws I have to strongly disagree with your assumption, Tamohara prabhu, that the Jewish people would not impose their will on us as Vaisnavas. I also believe that the US, who are ever willing to please the State of Israel and who have already passed a resolution supporting the Noahide Laws in America, will continue to support the State of Israel and the Jewish Lobby to enforce the Noahide Laws in its criminal justice system. After leading most of my life in support of the Jewish cause I now have an entirely different perspective on history, the Jewish people and their place and role in this world. I encourage devotees to make a careful study of the situation in Palestine, especially in relation to the Noahide Laws. Do the research yourself. I am not making this up nor am I exaggerating, I am, in fact, playing down the current state of affairs in Palestine. If you are a JBD and you are sincere in your Krishna Consciousness and are not attached to your familial ethnic background, then you will understand the need to do this research. Then judge for yourself. But whatever you do, I have to implore you not to be too complacent, naïve or ignorant and to see the bigger picture here. 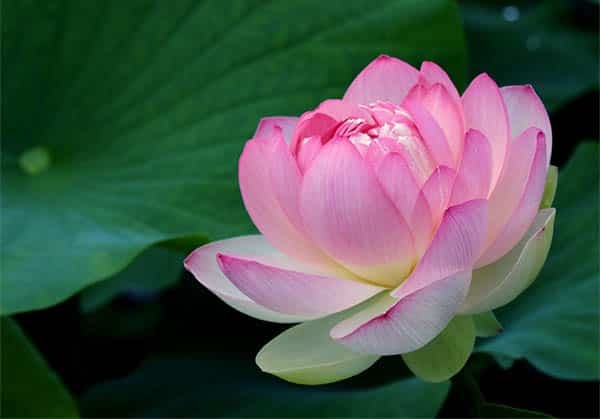 I asked in my article, “The Noahide Laws and ISKCON“, for JBD devotees to help us understand the Noahide Laws and how they will relate to us in ISKCON, and I was surprised to see that no one considered this an issue that requires any input. Silence means consent or perhaps in this case, fear. Are they too fearful to reveal that my concerns are very real indeed? That we as Vaisnavas will be persecuted under Noahide Law if the Jewish Lobby gains more power and influence in various countries? Perhaps this is the beginning of the predictions in the Srimad Bhagavatam of how the devotees will be hunted and killed? Sure sounds like it to me. We as a movement stand for a personal God and that will not be tolerated by people whose God has told them to destroy any idols or graven images of any false God or even images of himself. 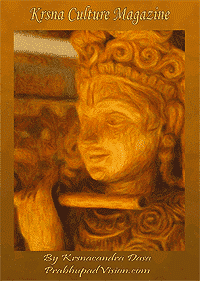 We are a Brahminical movement and as such, we must not fear to inquire into the machinations of Kali in the Kali yuga. Our duty is to defeat impersonalism and to spread the fuller understanding and appreciation of Lord Krishna. This has and will always have resistance, but so long as we stay in the shelter of Srila Prabhupada we will be protected. Not all Christians, Jews, Islamists, Humanists and Atheists are hard hearted and blind followers. We can reach them by our purity and sincerity to serve Srila Prabhupada and Krishna. So long as we allow our leaders to steer us into Modernity, Pluralism, Interfaith and Academia, we will never have the philosophical resolve or the properly qualified Brahmin devotees to be able to educate the masses on the proper meaning of Religion and who God is. 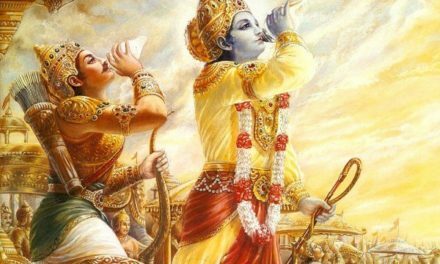 It may be argued, how can I say that there is any comparison between what the Zionist Jews are doing with Palestine and our ISKCON leadership? I ask you to do your own research and prove me wrong. 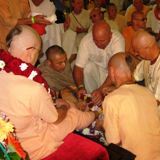 [Sampradaya Sun Editor’s Note: While the author refers above to a ‘JBD minority group that wields formidable power in ISKCON’, we have yet so see anyone offer solid evidence in support of this assertion. For all the anecdotal statements provided, where is the conclusive list of ISKCON leaders in influential positions that shows a true minority/majority percentage of any kind, be it ethnic, cultural, prior religion, or any other characterization? Until this evidence is forthcoming, such statements must be considered speculative. We again caution our contributors to carefully document such claims.